I used to have all this information on my #BeStillBeBright page on the blog, but I wanted to migrate all of it into a blog post so that it would be part of my content rather than just a static page on my blog. Also, I wanted to expound upon a few of these resources and add a few more, so moving it to a blog post was the perfect opportunity to revamp my list. I did my best to name everything I’ve ever mentioned on here (aside from podcasts) at it relates to bible resources and books and such. PLEASE let me know if I missed anything and I would be happy to answer your question. If you have any types of blog posts that you would like to see in the “Faith” category of BTD, please comment below or on the bestillbebright page (where I have a few FAQ at the moment) and let me know. I’m working on making a list of possible topics to cover! My last “Faith” post was on the studies that I’m currently going through and it seemed like you all really enjoyed that post – thanks so much for commenting! 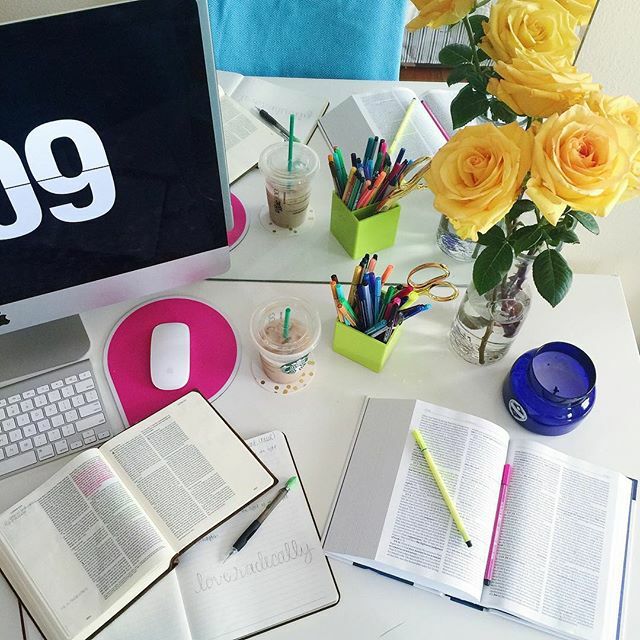 Currently, I’m using the ESV Journaling Bible for two main reasons. Firstly, I really prefer this translation to the NIV which is what I’ve used in the past. Secondly, I really LOVE the wide margins for taking notes and I just feel like there’s less on a page -so it’s easier for me to read. I haven’t been using this one as much lately just because I’ve loved having the margin space in my ESV bible and I’ve become pretty partial to the ESV translation. But even still, I like having this one as an option and it’s the bible I’ve had since I was like 15. 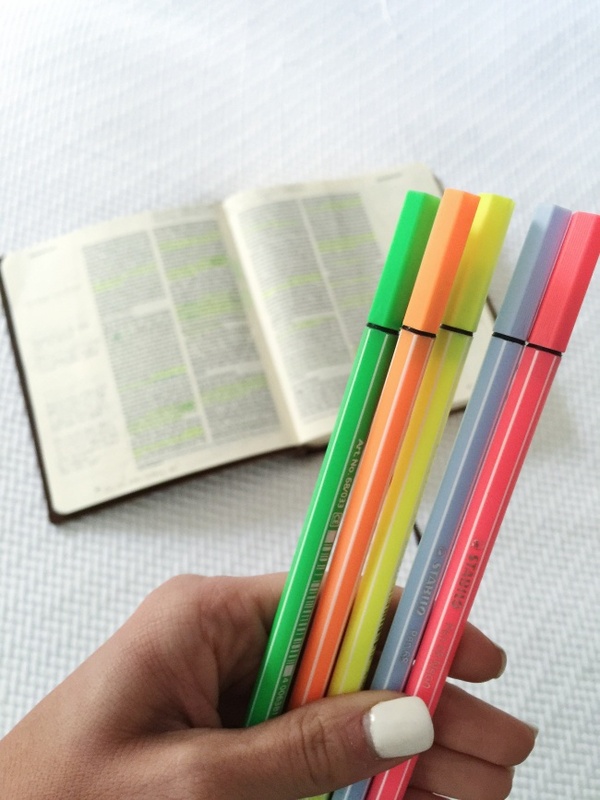 Stabilo Point Pens – Even though I have the fancy bible highlighters, I usually end up just using these markers because I love all the colors and the fine tips makes it easy to highlight precisely for the small bible text. I actually use these markers/pens almost daily at my desk – I love love love them and the colors are SO fun! They can bleed through a little bit, but I still really LOVE them and enjoy using them. Also, colored pencils are a perfect solution as well if bleed through drives you crazy. My friend Anna made this little spiral-bound bunch of notecards for me for my birthday over 3 years ago. And of course, I STILL have them and love them SO MUCH! You can get this little spiral bound index card book just about anywhere that has school supplies; I actually saw some at Walgreens last week! I keep this either in my bedside table or in my purse and love being able to sift through encouraging scriptures. It’s also a great way to have scripture (aka TRUTH) readily available to read to yourself for when you get sad or discouraged or tempted to believe little lies throughout your day. For me personally, it’s been such a GREAT tool for me in actually learning what it means to preach to my own heart. When I find myself falling for the lies of this world or believing things that I KNOW aren’t true, I refer to these notecards where I’ve written down the scriptures that most resonate with me. I carefully selected and prayed through which verses to put in my book (in addition to the ones my friend Anna had written in there when she gave it to me) so that I could have the “sword of truth” at my fingertips when I struggled with believing lies. Paul encourages us in his letter to the Ephesians that we have the power of the spirit (through the word of God) to use as our defense – we need only call upon that truth during those times of temptation. 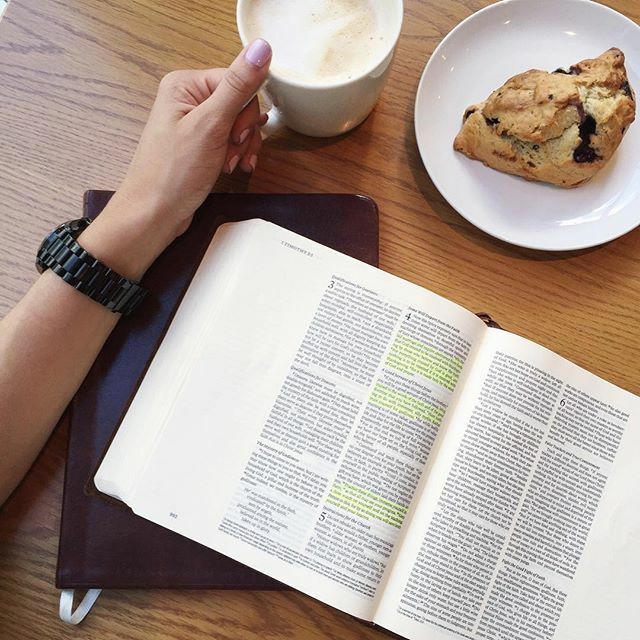 I encourage you to use every tool possible (this one if you think it would be helpful but anything that words for you, really) to equip yourself with the word of God so you have truth when you need it most. Scarlet & Gold Scripture Memorization Notecards – or if you’d rather have it all laid out for you, Scarlet & Gold has scripture cards for each month of the year so you can be intentional about memorizing a verse each week! I have a set of these and love them! These typically stay in my bedside table though whereas I actually do bring the spiral bound index cards out with me a lot. Val Marie’s Prayer Journals – these are great for carrying around in my purse. To be honest, I haven’t been using it much lately but there have been seasons in my life where I have used it religiously (ha, no pun intended). 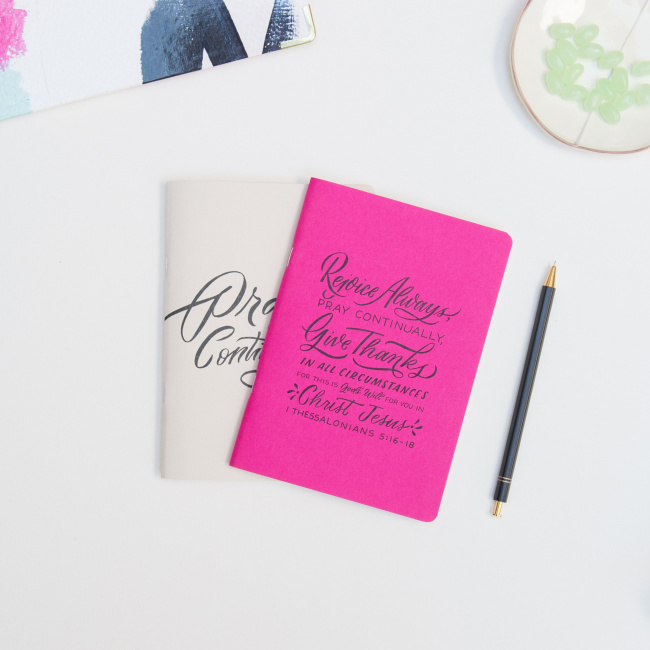 If prayer is something you want to be super intentional about, these journals might be just what you’re looking for. They serve as a simplified and straight forward way to document your prayers and then keep you on track each day or week as you pray through them. It’s also great to keep in your purse for when you’re in traffic or waiting in line – you can use that time to pray all those prayer requests that we often don’t get to. Currently using the Moody Bible Commentary // #confessions…this is just one of the first ones I found on Amazon. I looked around a little, BUT I probably should have done more research. 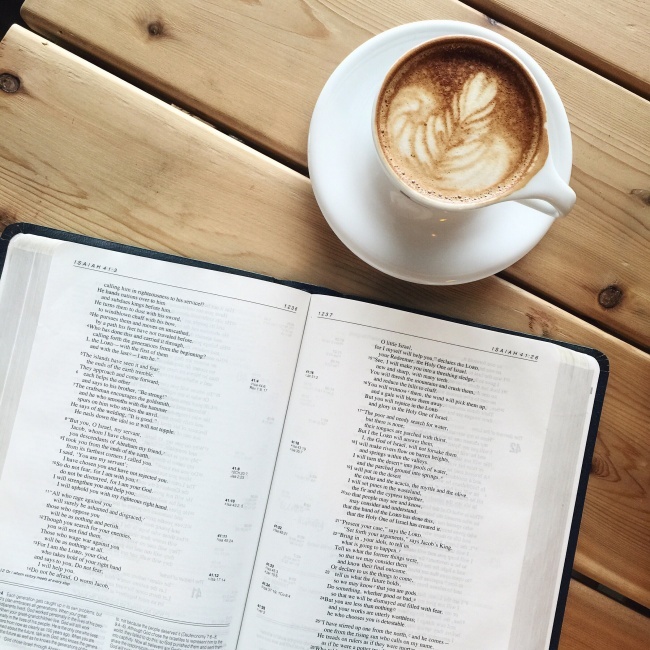 Patience is hard for me…but it’s been great for me so far and has been an awesome resource to keep my scripture reading rich and exciting (might be a bit of a stretch, but i truly truly enjoy learning all the backstory and such). I wrote the paragraph above like 8 months ago, but I wanted to add a little update. Although it was one that I purchased without much though, it has been super helpful for me. Even if I just look up what it says about one verse, it has proven to be very insightful. My favorite part is learning what the original hebrew or greek word was and then seeing the different ways it can be translated. The only downside to the book is how big and heavy it is. I found myself wishing I had it all the time but wasn’t about to lug this thing around with me, so I recently purchased it on my iPad/kindle. And I’ve been able to use it SO MUCH more since I can access it on the go :) I would highly suggest doing that. But for me personally, I like to have the hard copy too for when I’m at home because there’s just something about having a tangible book that will always beat a digital one for me. 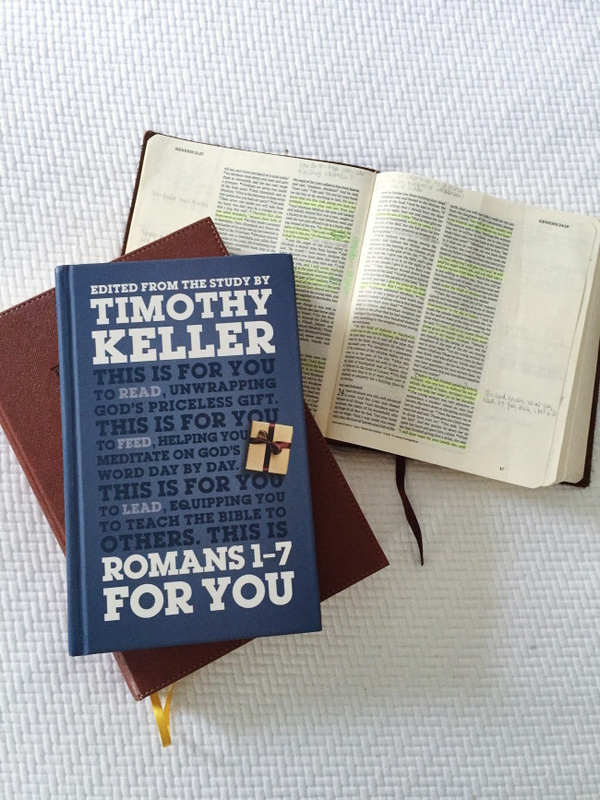 Tim Keller’s devotional guide through the Book of Romans and Galatians (and many more!) – I haven’t started the Galatians one yet, but I actually bought both of them at the same time. I loved going through the Romans one. It wasn’t too deep and it was super easy to follow. I enjoyed having the reflection answers at the end of each chapter as well to get my brain going. All in all, I would highly recommend any of these books by Tim Keller as I think he has written them for a few of the New Testament Books. Desiring God Website – this website is CHALK full of articles, sermons and other resources that cover all sorts of topics by one of my favorite modern day theologians/pastors, John Piper. It’s a great resource to have in your back pocket for when you’re wanting encouragement or guidance or just want to learn more about God’s word. I love so much about this website but it’s especially helpful that you can search Piper’s archive of sermons by scripture passage or even by topics! Gospel Coalition Website – This website has it all and just like the Desiring God website, you can find SO MUCH goodness including sermons, messages, articles and the like. You can search by topic or scripture and I love just checking it periodically to see what’s new and relevant. The Bible Study Project – A really cool website that explains the different books and themes of the bible in easy-to-understand, animated videos. Read all about it in my blog post telling you what it is here.